This is our family vacation home and we love to share it with our guests. We keep our condo in top condition for the enjoyment of ourselves and our guests. 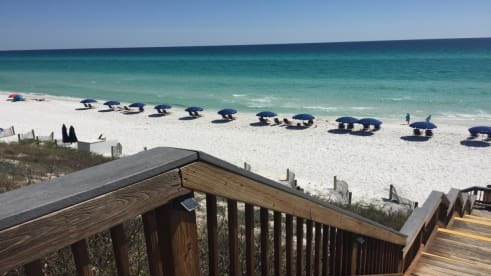 We are northerners who discovered the 30-A beach side community and immediately fell in love with the pristine beaches and many activities available. We enjoy discussing with our guests this unique area and share what it has to offer including the best beach in the US, great restaurants, fantastic hiking and bike trails, tennis and golf.